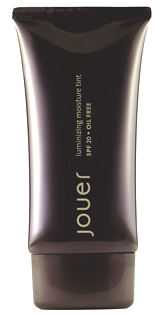 We've discovered a killer new cult beauty range you're going to love, called Jouer Cosmetics. We all know our make up drawer is basically our beauty wardrobe. There are a few key items we use every day that are effortlessly flattering, the other 70% just balance dust. This best selling product that has had the US bloggers in a spin from day one. This tinted moisturiser evens out imperfections and fades the appearance of fine lines with its light-diffusing, multi-mineral formula. SPF 20 protects from UVA and UVB rays (broad spectrum physical block) while Ginseng and Gingko Biloba Leaf Extract deliver antioxidants to skin, promoting a healthy complexion. It's oil-free, hypoallergenic, fragrance-free and water Resistant. The most moisturising lip gloss on the planet! Irresistibly sheer shades (in Mirage, Tender, Glisten) loaded with Vitamins A, C & E, Shea Butter, Jojoba Oil and Pomegranate Seed Oil to moisturise, soothe, nourish, rejuvenate and protect, keeping lips smooth and hydrated. Available in a signature vial that connects to any Jouer custom palette. 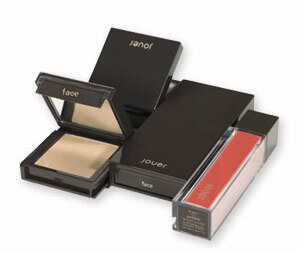 Beautifully bendable and sheer, Jouer’s cheek and lip Tint compact is designed to complement all skin tones. 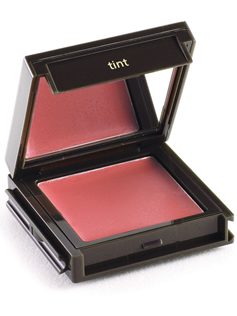 With easy fingertip application, this multi-use tint can be worn on cheeks as a blush or on lips for a flush of seriously flattering colour. This compact, mineral cream foundation sets with a beautiful powder finish. It enhances and evens out your complexion, while fighting and repairing the signs of aging and stress. The luxurious formulation of antioxidants and anti-inflammatory powers of Vitamin E, Arnica Oil, and Japanese Tea Extract revive skin’s firmness and tone. Conceals the appearance of redness and other blemishes without the sensation of feeling heavy. An illuminating eye-stick that instantly brightens the eye area, reducing the appearance of dark circles and fine lines. This rich, emollient brightener moisturises, increases skin’s immunity and fights free radicals with a concentrated anti-oxident complex, Orchid Complex, Camellia Oil, and Vitamins A, B & E.